I learn about all kinds of stuff through Twitter. The Nerdist is one of those things. I discovered all this through following Nathan Fillion. You know Nathan Fillion right? I may have mentioned him once or twice. Buffy, Firefly, Serenity, Castle, Dr. Horrible…I’m stopping now because this is not the point. (I’m working on staying on point here. How am I doing so far?) He tweeted about The Thrilling Adventure Hour with a link to the podcast. This is a staged production done in the style of an old-time radio show, and then broadcast as a podcast. It is fantastic and awesomely entertaining. You can listen to the adventures of Sparks Nevada Marshal on Mars, Beyond Belief, Captain Laserbeam, The Cross-Time Adventures of Colonel Tick-Tock, and Cactoid Jim. The episodes are written by Ben Acker and Ben Blacker and produced by Aaron Ginsberg. Players and guest stars include Nathan Fillion (as mentioned), Paget Brewster (you might recognize her from Criminal Minds), Paul Tomkins (Mr. Show, LA Complex)…oh, there are too many to list. Just go to their site and check it out. The first time I listened to Cactoid Jim, I heard them mention the word Nerdist during the credits. I asked myself, what is this Nerdist of which they speak? (well, maybe not exactly like that…okay, maybe exactly like that, but definitely not out loud.) 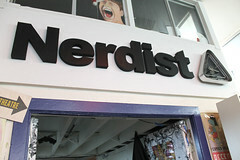 That’s how I found the Nerdist Podcast. Basically it is Chris Hardwick, usually with Matt Mira and Jonah Ray, having a conversation with a different celebrity or celebrities every episode, and this happens twice a week. Yep, twice a week. I haven’t listened to one that wasn’t immensely entertaining (warning there is no censoring for…well, anything). These are a handful of the guests that they’ve had on their podcast over the last couple of months (okay, some of these may or may not still waiting in my queue , but it isn’t for a lack of trying) George RR Martin, Joss Whedon, Jeff Bridges, Charlie Day, Charlie Hunnam, and Misha Collins just to name a few. This doesn’t include any of the San Diego Comic-Con stuff they recorded live either. 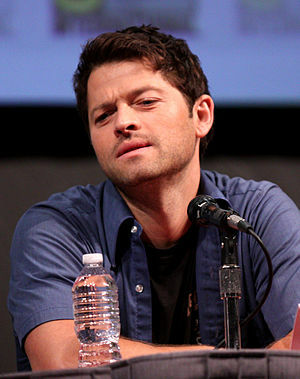 One of my favorites out of this list was the podcast with Misha Collins. During the podcast they were discussing Supernatural, GISHWHES (Greatest International Scavenger Hunt the World Has Ever Seen), costumes, Scotland, and all and sundry topics that came to their pretty little minds. Including the non-profit organization that Misha works with, Random Acts, that looks to change the world, one act of kindness at a time. (Love that!) It was the most entertaining two hours I’d spent at work in a long while. (Wait what? Not at work…I mean…ummm…) Thanks to this podcast I WILL be participating in GISHWHES next year (I missed the deadline for entry this year by just a couple of days. I had to make sure I wasn’t going to be traveling for work before I could commit. Seriously, my boss will put up with a lot, but from what I’ve seen from last year’s…that may leave me without a job if I tried to participate while I was working.) GISHWHES received entry into the Guinness Book of World Records two years running for the World’s largest Media Scavenger Hunt. (By the way did you know that the Guinness Book of World Records was indeed created by the man who created Guinness Beer? Things I learned in Ireland.) Last year there were over 140,000 participants from 90 countries and each person was on a team of 15 people. Be prepared…the scavenger hunt consists of acts of kindness as well as…well, creative endeavors? (I’m not sure what you call an 8 foot T-Rex made of sanitary napkins other than a creation, but it was definitely something.) It just sounds like a lot of zany fun. My friends and family will either come closer together in love and fun and happiness….or in an effort to lock me up in an asylum (Do they still have asylums or are they just institutions? Asylum sounds so much more ominous!). Back to the point….again. (Seriously, I am trying to stay on topic.) Then I discovered BBC America…yeah, I know, but there is a television show! Yes, The Nerdist is also a television show that comes on after Orphan Black on Saturday evening. (No, I don’t know what time, everything gets DVR’d, my friend. Like 9:00pm Central? The lineup goes Doctor Who, Orphan Black, and then The Nerdist.) The show is just as entertaining as the podcast. Chris Hardwick, Matt Mira & Jonah Ray talk with a celebrity guest or two, there’s a stand-up comic in there and then they play a game…it is all a lot funnier than I make it sound (so kind of like the podcast but with visuals…and games and stuff). My favorite episode so far was the one with Buzz Aldrin (astronaut) and Bobak Ferdowsi (NASA’s mohawk guy. Poor guy, one day he’ll be known for more than just his hair, really. He works for NASA for crying out loud, he’s brilliant!) Just to see two eras of space exploration together on the same show was amazing in and of itself. 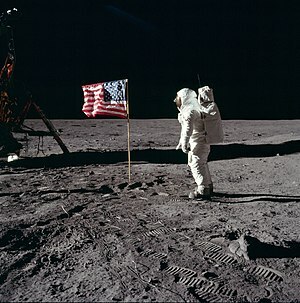 One man, Buzz Aldrin, actually set foot on the moon. I mean, just think about that. Walked. On. The. Moon. It kind of blows the mind. I can only imagine…The other was actually in the control room when Curiosity landed on Mars just over a year ago. He helped to land a vessel on another planet…another PLANET. This is like real life people, not some science fiction thing! All science. No fiction. The closest I will ever get to either of those things is to look out at the night sky and imagine. At least I always know which one the moon is (it is kind of hard to miss) but Mars is another story entirely. (Yes, I totally wanted to be an astronaut when I was a kid.) Yes, I can easily miss Mars in the night sky…astronomy was not good to me. The Nerdist podcast introduced me to Geek Week on YouTube also…you’ll be seeing more from that, I can assure you. They also have a completely random tagline (well, probably not random to them…or maybe it is.) They sign off every show with “Enjoy your burrito.” So ladies and gentlemen, checkout The Nerdist! There are many amazing things happening there worth enjoying…although I don’t think they have burritos. Weird. Have you ever committed a random act of kindness? What was it? What role playing games would you recommend? This entry was posted on Thursday, August 22nd, 2013 at 3:07 pm	and tagged with Bobak Ferdowsi, Buzz Aldrin, Chris Hardwick, Jeff Bridges, Jonah Ray, Matt Mira, Misha Collins, Movies, Nathan Fillion, Nerdist, Nerdist Podcast, Paul Tomkins, supernatural, Television, Thrilling Adventure Hour and posted in Uncategorized. You can follow any responses to this entry through the RSS 2.0 feed.